Master HTML and HTML5 in 20 lessons--online video tutorials included! HTML5: 20 Lessons to Successful Web Development covers the basics of HTML, including laying out an HTML document, using fonts, colors, and images, creating lists and tables, and building forms. Next, you'll learn how to use the HTML5 canvas, support geolocation, build advanced forms, implement local storage, add audio and video to your pages, and much more. 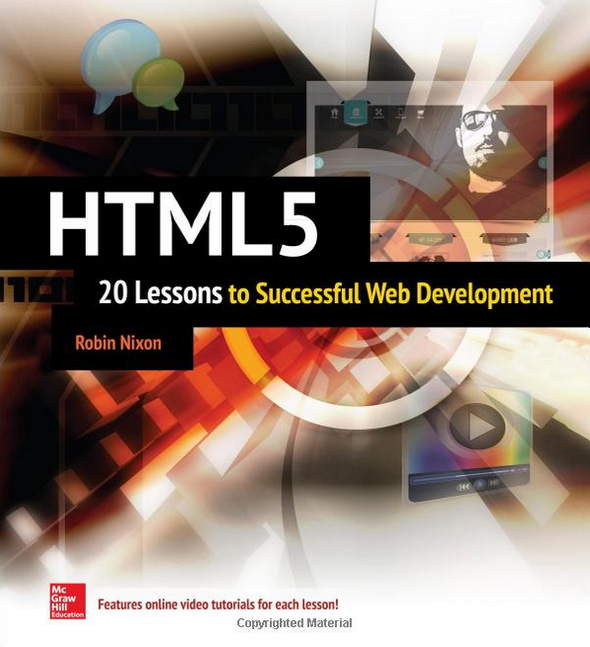 Together, the book and almost five hours of video training make learning HTML5 easier than ever!